The location and studio was fantastic. Set within a small private complex with olive trees and vines it was really authentic and tranquil. The studio was virtually new and look as if serious investment had been made. As a builder myself I appreciated the finish and the layout unlike some places I have stayed everything worked and was included. I am familiar with the area from previous visits so know that there are ample taverna's serving fine Greek cuisine and good swimming beaches within easy reach. This was far better than some of the 4* rooms I have stayed in in the main city and was only a 10 minute journey away. The airport was only 5 minutes away also but no air traffic could be noticed at all. I would highly recommend these villas to any friends or family without fear of disappointment. The villa was cleaned every day which I have never had before in any accommodation! The host let us check out late as he didnt have any guests arriving which was very generous! The location is perfect for the beach and there are 3 or 4 great restaurants within walking distance. We will definitely be staying again! The pool, cleanliness, air conditioning, modernity, quiet location and setting. The villa was lovely in every respect and we really enjoyed the terrace, garden and pool. There were great facilities within the villa and it was really clean. We had a choice of beaches nearby (20 minutes walk) or a matter of minutes by car as well as a supermarket and a choice of taverna’s, effectively on our doorstep. The cleaning/maintenance staff were very assiduous and attended to the villas and the grounds every day for a few hours. The property contains 5 stand-alone villas, two with pools. Our villa ("garden villa") was spacious with a contemporary fit-out, gorgeous soft bed, well-equipped kitchen, a proper overhead shower, good wi-fi and a spacious, paved, private outdoor area (our villa, #1, had the best outdoor area). The area is quiet, leafy residential, 5-10 mins drive from the airport, opposite the Esperides Taverna (#1 restaurant on Tripadvisor for this area) and 5 mins walk from two others. We stayed in a villa with its own pool. The accommodation looked just like the pictures. Spent lots of time relaxing by the pool. The place was also spotless and cleaned everyday. Local restaurant Esperides was lovely. Two great beaches nearby. Host was nice and welcomed us, no waiting, and even provided some orange juice and coffee to help us get started. Each house has its own little parking spot, which was lovely in the heat. A/C worked and we were in awe of how great the WiFi worked! Having travelled all over the place, that is not what we expected. This place was super close to the airport, like... 7 minutes or so; it was a bit funny because it's usually such an ordeal to actually get to our hotel, but there we were, taking a little path along the coast to the village. Lovely clean villa with a home from home feel. The location was perfect for us and our two little children, they loved playing in the swimming pool and garden. There is a very nice restaurant Esparides right outside the villas which we liked so much that we ate there 4 times! The local beach Avithos is beautiful and great for kids. The staff at the villas were very friendly and accommodating. Excellent villa, quiet, clean and nice location. The villa has undergone refurbishment and we were the first guests to stay at the Rosemary villa since it had a private swimming pool installed. The spaciuous garden, sunloungers and umbrellas made it great for relaxing by the Pool. The property manager Gerasimos was very helpful and available for any questions at anytime. Overall an amazing relaxing stay and we will be back. Lock in a great price for Cypress Garden Villas – rated 9.5 by recent guests! Located in Svoronata Village of Kefalonia, within 2,650 feet of Avythos Beach, Cypress Garden Villas offers autonomous, self-catering units, each with a private garden, a terrace and free parking. Kefalonia International Airport is 2.5 mi away. All units include air-conditioned bedrooms and come with a seating area and a kitchen equipped with a fridge, oven, stovetop and coffee machine. There is a private bathroom with a shower in every unit. Bed linen is offered. Guests will find mini markets and restaurants within a short drive from the property. Argostoli is 5.6 mi from Cypress Garden Villas. When would you like to stay at Cypress Garden Villas? Overlooking the vineyard from its terrace, this deluxe, modernly decorated suite has a kitchenette with fridge, stovetop and a dining table. The deluxe bathroom comes with a walk-in shower. -a fully equipped kitchen with fridge, oven with stovetop, coffee machine and a toaster. 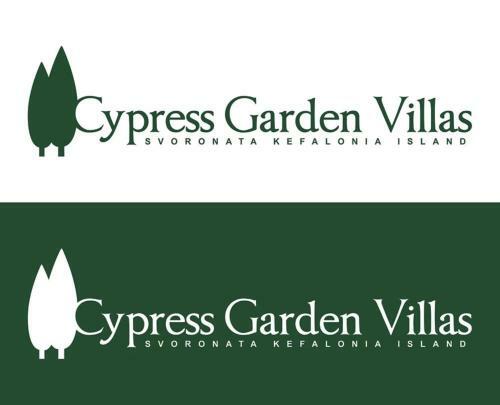 Cypress Garden Villas in Kefalonia is a fully renovated complex of five detached holiday homes, each with a private garden or pool in the area of Svoronata Livathos Region Kefalonia, just a short distance from Avithos and Ai Helis beaches. Svoronata village is only 4 km from the international airport of Kefalonia. The complex features : Villas Magnolia & Rosemary with the benefit of a private pool (3 x 7) meters each spleep up to 4 adults. Villas Mimosa & Ostria consisted of one bedroom and a total area of 50 sq.m. with private garden which can sleep up to 4 adults and Deluxe Suite "Zefyros" with amazing patio area sleep 2. These lovely holiday lettings are fully independent and offer patios/verandas with views to the garden or te pool. All villas have an open private parking space within the estate. Internally, the accommodation provides an open plan lounge/dining area with fully equipped kitchen, bathroom and a spacious double bedroom. In the living room the sofa turns easily to a bed for 2 persons ideally for small kids. A/C units are installed in all rooms of Cypress Garden Villas. At a walking distance from the villas you will find many restaurants, mini market, gas station and car hire companies. Some of the local restaurants are open all day and serve breakfast as well. The heighborhood is very quiet and safe for small children. All villas offer private gardens where you can relax by watching the kids playing on the grass. The beach of Avithos is less than 1 km away. House Rules Cypress Garden Villas takes special requests – add in the next step! Please inform Cypress Garden Villas of your expected arrival time in advance. You can use the Special Requests box when booking, or contact the property directly using the contact details in your confirmation. The Booking.com photo for this property shows a pool. Only two villas ("pool villas") on this property have pools and are for the private use only of its occupants. We came with the expectation of pool access and were disappointed. The beach is a 20-30 minute walk. We have suggested to the property manager that the description for the garden villas indicates no pool access. We also suggest the photo for this property on Booking.com be changed to represent a more honest indication of the property's features available to all guests. The property is not a hotel and is managed by an off-site real estate company which provides only check-in and payment services. We requested assistance to book a taxi which was declined. So come prepared to be self-sufficient. A little bit of a walk to other restaurants. The crickets were a bit noisy - but hey that’s nature. Only two small things could be improved: The sprinkler was a bit annoying, because it makes the sitting area outside totally wet. We asked the host to adjust the timing so that everything would be dry by the time we woke up, which he did and that was much better. However, if it could be done so that the sprinkler wouldn't at all touch the sitting area, that would be great because you could keep your towels and clothes out there to dry at the end of the day. Secondly, the toilet. Still one of those old pipes where you are not allowed to flush paper. House was very well maintained(nearly new),beds comfortable with choice of pillows,kitchen fully equipped,gardens and patio areas lovely. Studio: No washing machine, there is nowhere nearby to do washing and the nearest laundry facilities are in Argostoli which may be an issue if staying for an extended period. No safe. Glass window pane in front door lets in exterior light, which together with emergency exit light above front door means that room is not dark at night. One bed roomed apartment: No instructions for stupidly complicated hob (I hadn't figured it out after 4 days! ), shower that doesn't know if it's a shower or a bath (bath with no bath taps, but shower head), very limited capacity hot water cylinder (cold after half a shower). Bath was not clean on arrival with numerous hairs. We stayed in both the studio and the one bed roomed apartments, which are quite different in character but both excellent. The studio was exceptional, very modern and stylish and the attention to detail was amazing at this price level - spices, coffee and sugar in the kitchen and toiletries in the lovely bathroom were a welcome addition. Linen and towels were fresh and clean and the bed was very comfortable. Quiet and effective air-conditioning. Well equipped kitchenette. Quiet. Very high standard throughout. 10/10 The one bed roomed apartment was not quite as stylish as the studio, and appeared to be not as new but was more spacious and still excellent. Very well equipped for self catering, great areas for relaxing outside. Oven and washing machine which the studio didn't have. Excellent value. The location is excellent - there are a number of nice beaches nearby, as well as a few restaurants and a convenience store, but would recommend having a car or bike if staying here. Wifi and sat tv in both worked well. 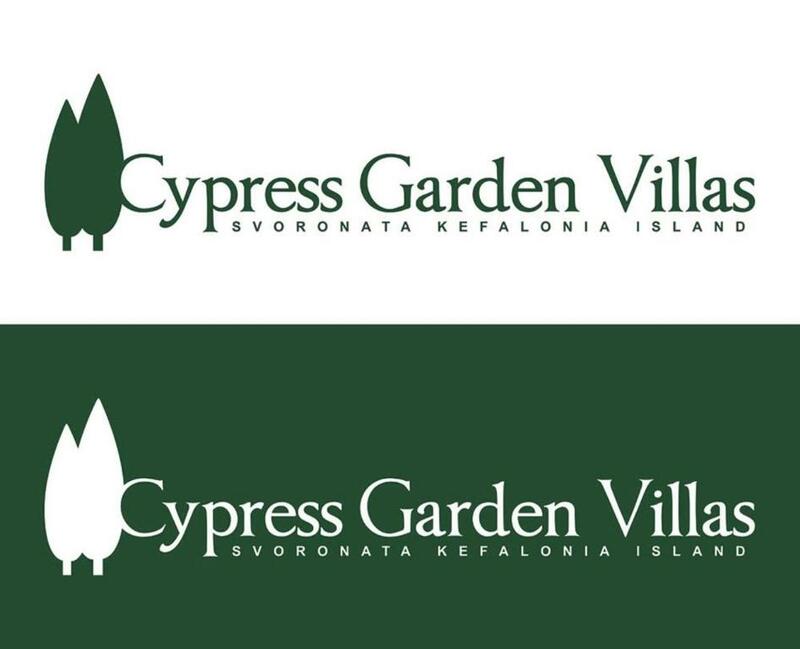 It was a great experience staying over at Cypress Garden Villas and we very much look forward visiting next summer!The location is spot on-just 10mins drive from airport,next to restaurants,bars and 3 amazing beaches to go to:Ai-Chelis,Avythos and Ammes!Cant wait to go back soon! We really enjoyed our staying at Cypress Garden Villas! The location is great as it is walking distance from the beach, we could walk to the lovely beach of Ai-Chelis and Avythos and there are a lot of restaurants around with great food, and a mini market! The rooms are modern, very clean and the customer service excellent. Kefalonia is our favourite destination now and we look forward to coming back next year and spending more time at Cypress Garden Villas!